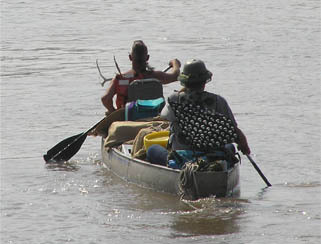 A replica flatboat and canoe headed off from St. Louis’s cobblestone landing on its final voyage, approximately 560 miles down the Mississippi River to Memphis. Angela’s Arc, constructed by Captain John Cooper of Gallatin, TN, is expected to arrive in Memphis on Sat., Sept. 19. 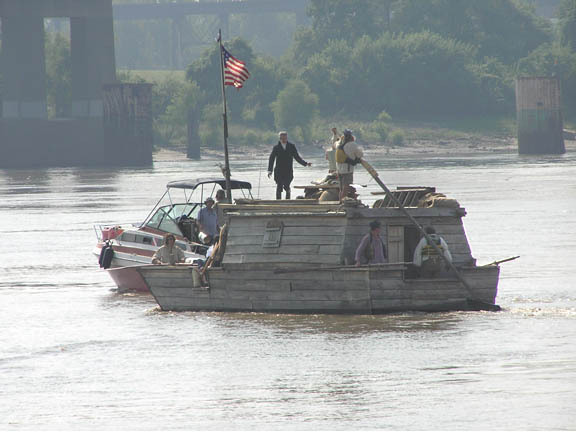 In Memphis it won’t be docked at our historic Cobblestone Landing, but it will be on view at the boat ramp on Mud Island River Park until the end of the park season and then permanently drydocked and on display at the island park. Travel and trade on the Mississippi River is a big piece of our city's history -- In 1828 Abraham Lincoln travelled by flatboat from Rockport, Indiana, to New Orleans, with a stop at Memphis’s Public Landing.